Published yesterday in the Journal of Medical Case Reports is a new paper from GrassrootsHealth. Titled “25-Hydroxyvitamin D variability within-person due to diurnal rhythm and illness: a case report,” the objective of this study was to determine if vitamin D levels fluctuate throughout the day and whether the timing of the test before or after supplementation mattered. As a case study, the investigation looked at a single individual, with vitamin D samples collected three times a day, roughly 8 hours apart, on four separate days. At each collection time 5 separate samples were collected and the results averaged. 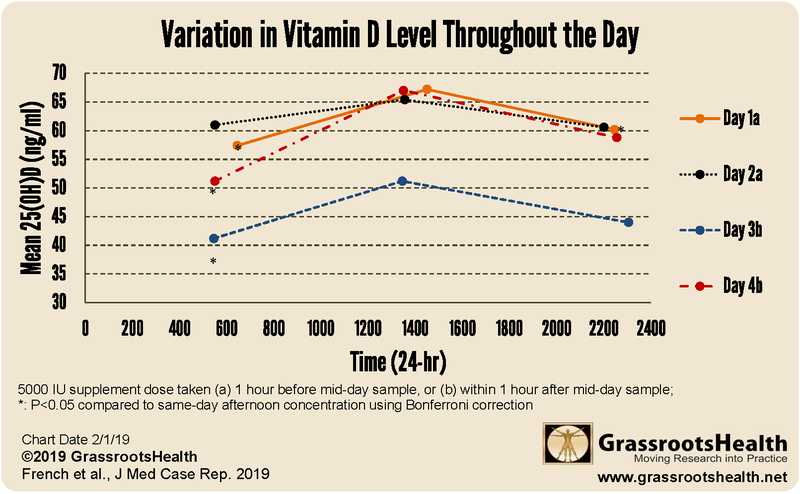 This study found that mid-day vitamin D levels were approximately 20% higher than morning levels and approximately 13% higher than evening levels (see figure below). Taking a vitamin D supplement before or after testing did not make a difference. Interestingly, the study participant experienced a cold during the study and it was discovered that her vitamin D levels were about 25% lower on the day immediately before symptom onset compared to other testing days. By the time cold symptoms had passed, two weeks later, the vitamin D levels had returned to match the previous levels. How does this information affect vitamin D testing? For individuals tracking their vitamin D levels, it would be best to collect your blood sample at the same time of day to have a consistent measurement over time. Clinical trials should also keep this in mind when testing participants to reduce error from this variability. Additionally, this case study demonstrates how an acute illness can result in a lower than usual vitamin D level even before symptoms appear. Christine French joined GrassrootsHealth in 2009. She has been involved in verifying and analyzing vitamin D related data from D*action questionnaires, as well as from other sources, and preparing publications based on that data. With training in science education and public outreach, French has been instrumental in making GrassrootsHealth data accessible and understandable. She earned her bachelor’s degree in biological sciences from UC Santa Barbara and MS in environmental sciences from UC Riverside. 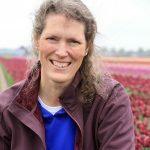 Sharon McDonnell has been working in the field of public health for thirteen years and has been an epidemiologist and biostatistician at GrassrootsHealth for the past six years. 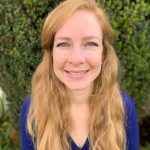 At GrassrootsHealth, she has been involved in developing methodology, data analysis, and manuscript preparation for numerous projects concerning vitamin D and health outcomes. She received a B.S. degree in Psychobiology from UCLA and an MPH in Infection Diseases, specializing in epidemiology and biostatistics, from UC Berkeley. 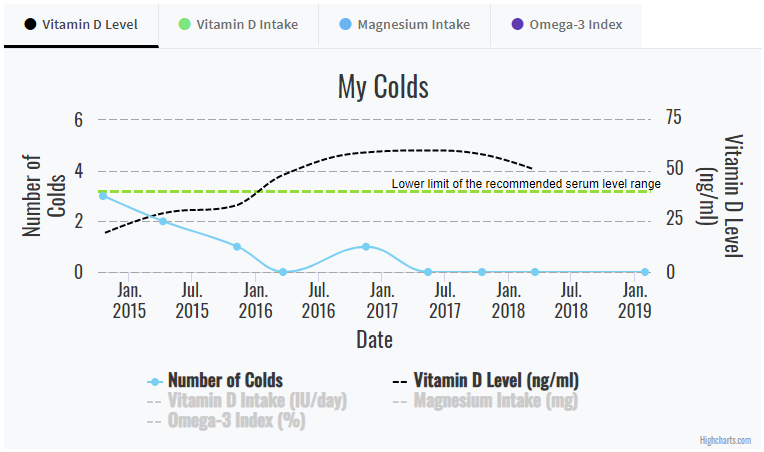 How can I track my vitamin D levels and health? To help you track your nutrient levels and health outcomes, GrassrootsHealth has created an online tracking system called myData-myAnswers. You can track details about your supplement use and nutrient levels. You can also track many pre-set health conditions, such as colds, or add your own custom trackers. This will help you discover how your nutrient levels impact your health. Check it out today!